The use of fertilizer supports human health by contributing not only to a greater quantity of food, but also to increasing its quality. Since 1948, the World Health Organization has defined human health as “a state of complete physical, mental and social well-being and not merely the absence of disease or infirmity.” This state of well-being is closely related to the goal of sustainability with its emphasis on economic, environmental and social pillars. The industry’s 4R Nutrient Stewardship approach--applying the right source of plant nutrient at the right rate, time and place—therefore needs to ensure that these 4 are right for food quantity, right for food quality, and right for the environment to support human health. Five years ago, IFA and IPNI decided to launch an extensive scientific literature review of the state of knowledge in the complex domain of human health enhancement through fertilization. 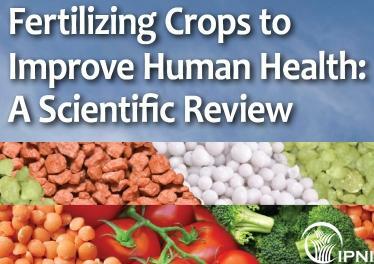 The book, "Fertilizng Crops to Improve Human Health," was released last year and is available from either IPNI or IFA.